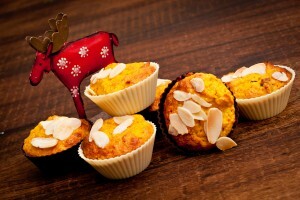 It’s an old tradition in Sweden to bake with saffron in December. High time is around the 13:th when Lucia – the girl with candles on her head – is coming. Yes I’m serious. Early morning December 13 there are plenty of young girls in every town, village and street, walking around, dressed in white, singing, while having a crown with burning candles on her head. So in honor of this beautiful tradition, instead of spending days trying to get candle wax out of my hair – I made these saffron muffins. Mash 1 or 2 bananas, depending on size. 3 eggs – or 4 if they are small… These eggs were huge! 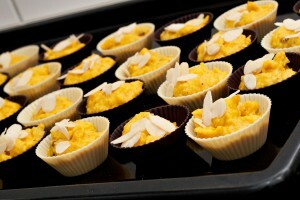 And place muffin forms on a baking tray. I use mini sized silicon forms. Saffron is a very expensive spice. If you find it cheap – it’s not likely to be the real thing. Real saffron gives a strong yellow color to the dough, and also gives “saffron taste”. Here in Luxembourg I bought the brand “Fuchs” and 0.5 gram was 3.50 Euro. 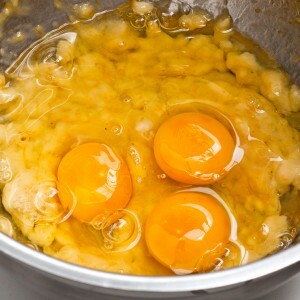 Mix the dry ingredients and add them to the egg-banana mix. Whisk. I know there are lots of people who don’t like to add raisins to baked goods for different reasons – if you are one of them, just leave them out. 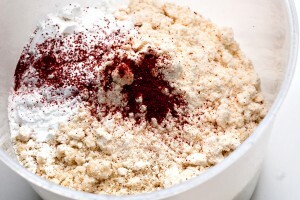 Now fill your muffin forms, and if you feel crafty, sprinkle a few almond slices on to of each. 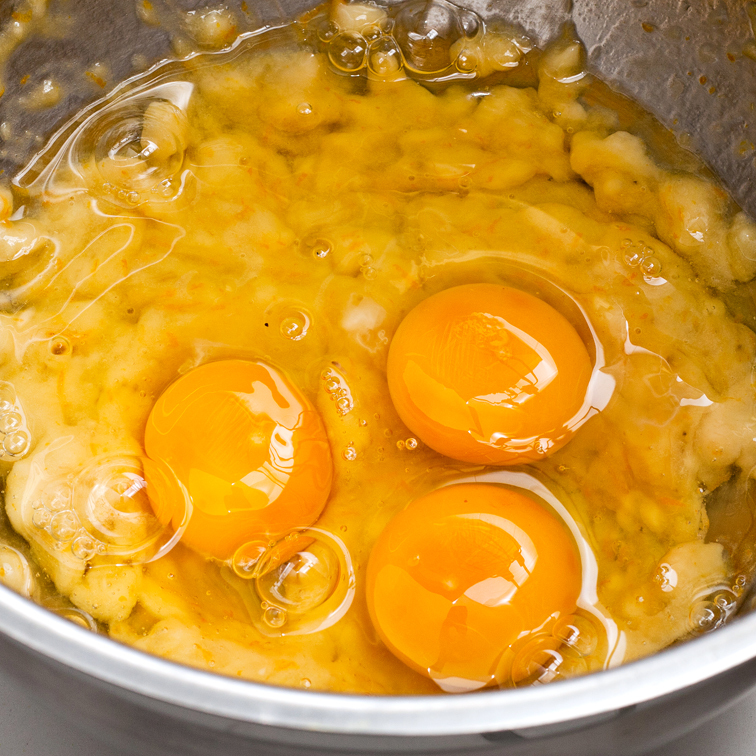 Bake in the middle part of the oven for 18 – 20 minutes. Enjoy with some mulled wine, Glühwein or glögg!